Ganesh Chaturthi or Vinayaka Chaturthi is one of the most celebrated festivals of India. This Puja is the beginning of the festive season of India. It generally falls on 17 th September in every year. Ganesh Chaturthi is celebrated in Maharastra, Andhra, Kerala, Tamil Nadu and many other parts of India. 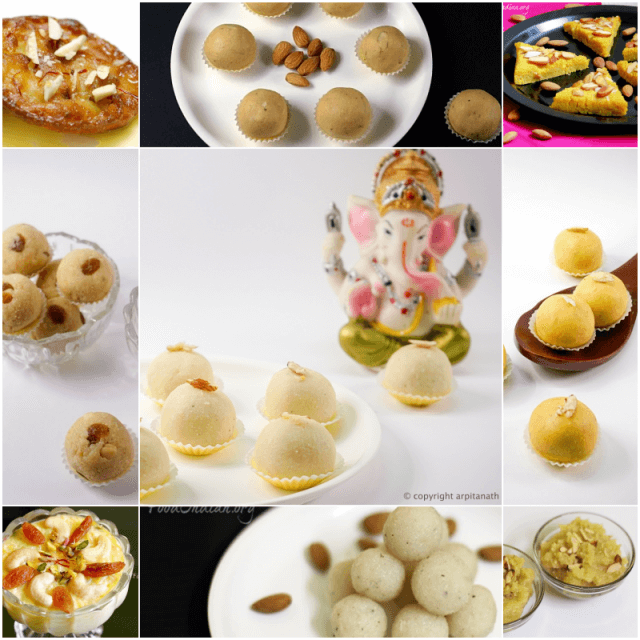 Here are some sweet recipes of Prasad or food we usually make in this auspicious occasion. 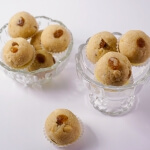 Rava Laddu : Delicious laddus made with rava, with the crunch of dry fruits and the richness of milk. Besan Ladoo : Indian sweet made with chickpea flour. Malai Ladoo : A simple ladoo preparation made with paneer and condensed milk. Sattu Laddu : Laddu made with roasted bengal gram flour and tastes great. Coconut Kheer : Kheer or Payasam fill with the richness of milk and coconut. Malpua : It is an Indian sweet dish that is basically a sugar syrup soaked pancake prepared from a batter of flour, sooji and milk. Kesari Kheer : A creamy Indian rice pudding or payasam cooked with rice and milk and is flavoured with cardamom and kesar. Suji ki Katli : Barfi made with rava or suji and topped with dry fruits. Kaju Mawa Halwa : A delicious halwa made with lots of kaju and khoya or mawa. 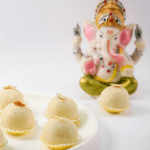 Coconut Laddu : An easy laddu preparation with coconut. Khoya Kaju Barfi : Indian sweet made with kaju and khoya. Suji ka Halwa : A halwa preparation made with rava or suji. 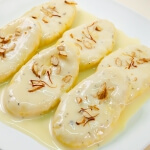 For more Indian Sweet Dish recipes you can search Here .